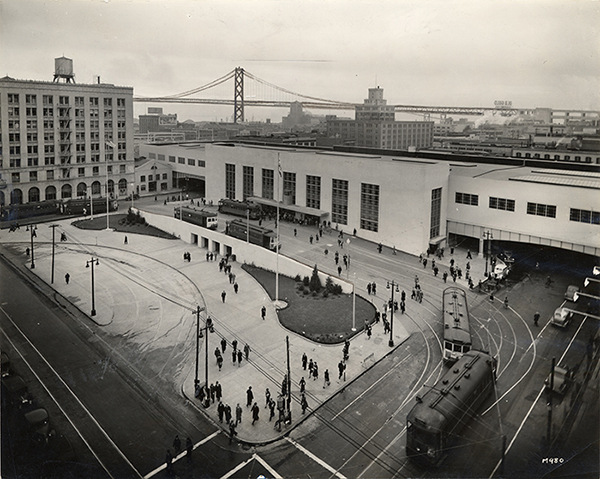 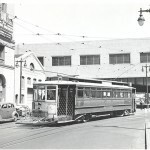 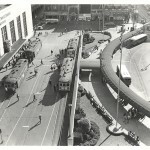 San Francisco’s former Transbay Terminal was built in 1939 at First and Mission Streets as the terminal for East Bay trains using the newly opened Bay Bridge. 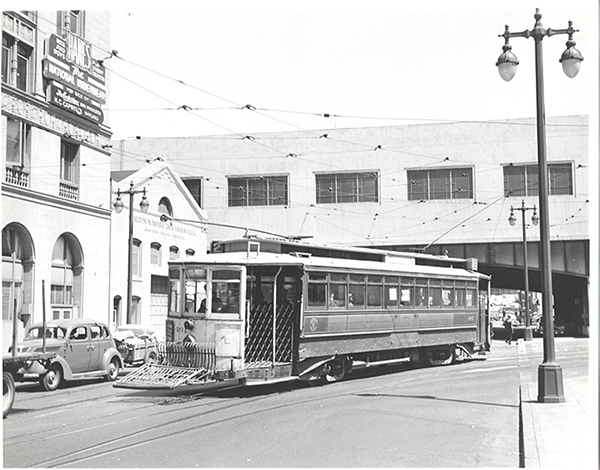 For the first time, San Francisco was directly linked by rail to the East Bay, Central Contra Costa County, and even Sacramento. 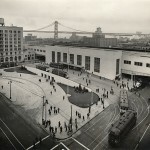 The Terminal was financed and operated as part of the Bay Bridge and was paid for by Bay Bridge tolls (which were then 50 cents per automobile, or about $7.75 today). 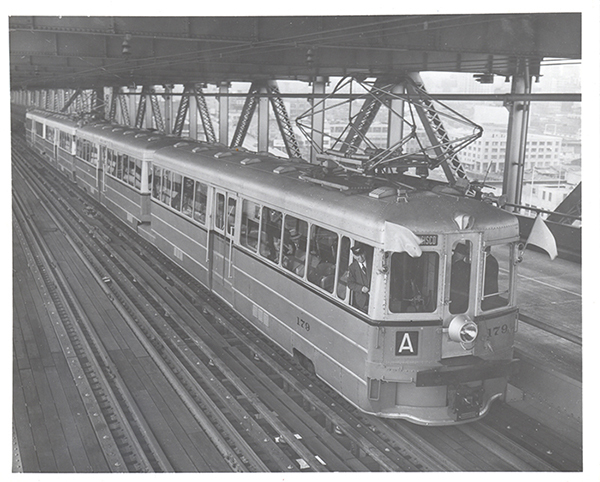 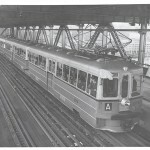 At the time, trucks and trains (primarily the Key System) used the lower deck of the Bay Bridge, and automobiles operated in both directions on the upper deck. 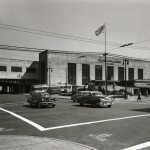 The Terminal was designed to handle as many as 35 million people annually with a peak 20-minute rate of 17,000 commuters. 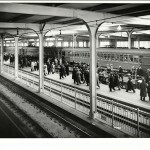 Ten car trains arrived every 63.5 seconds. 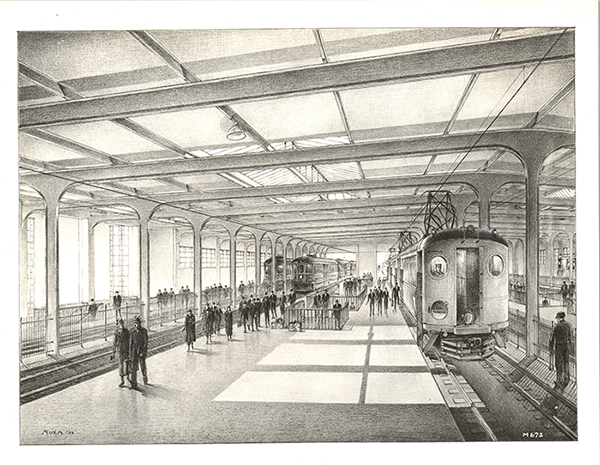 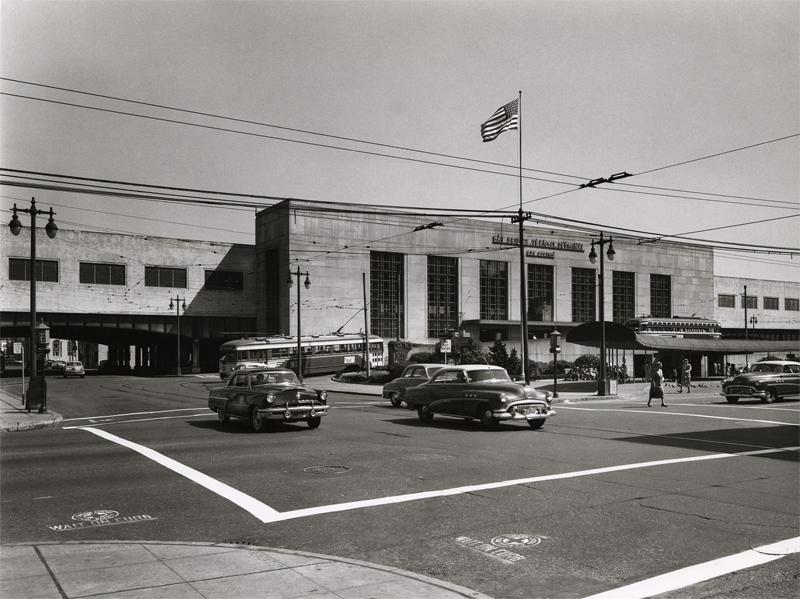 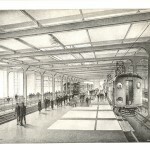 In its heyday at the end of World War II, the terminal’s rail system served 26 million passengers annually. 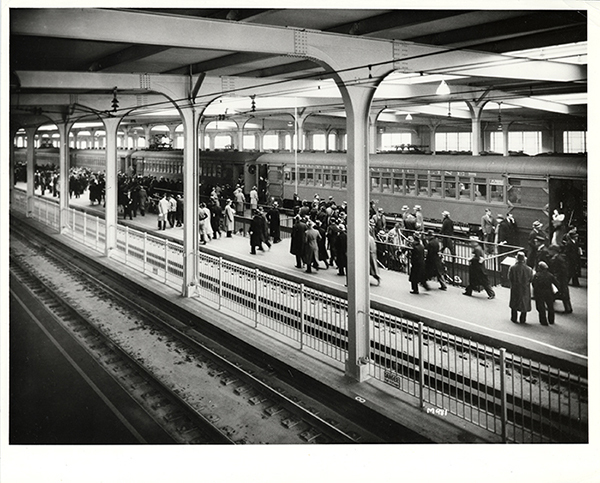 After the war ended and gas rationing was eliminated, the Terminal’s use began to steadily decline to a rate of four to five million people traveling by rail per year. 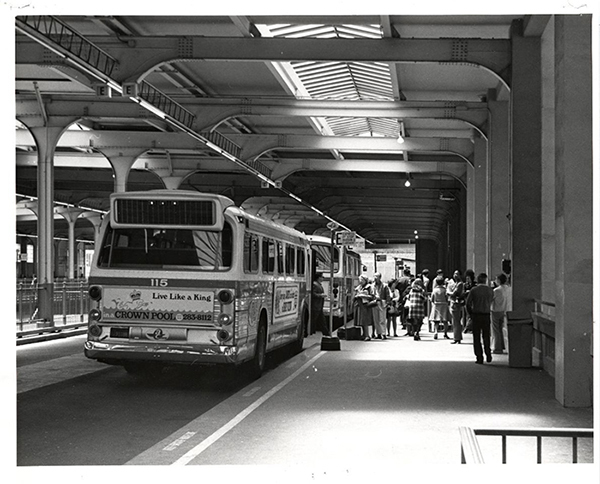 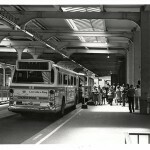 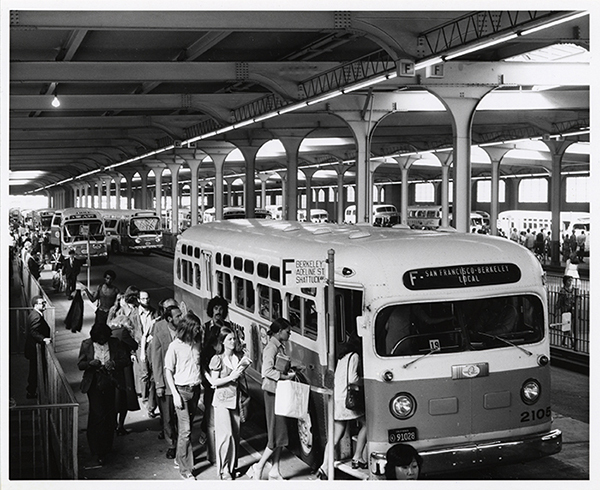 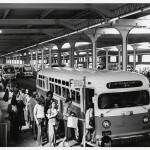 In 1958, the lower deck of the Bay Bridge was converted to automobile traffic only, the Key System was dismantled and by 1959 the inter-modal Transbay Terminal was converted into a bus-only facility. 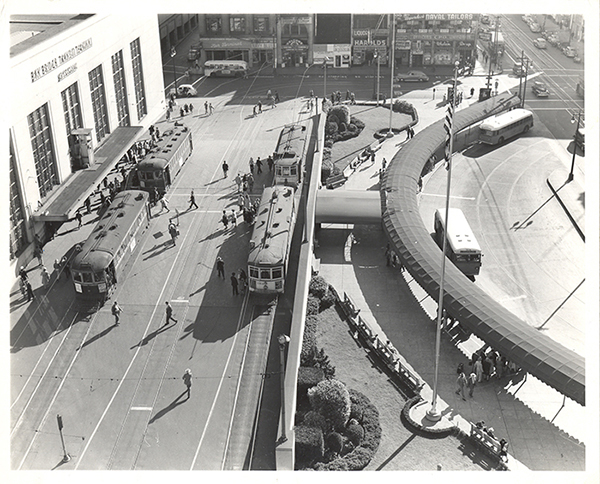 Now, more than 40 years later, the Transbay Program is poised to reconnect the region and its transit systems with a new multi-modal Transit Center.